In David Sedaris’s new collection, the essays begin with a visit to his Parisian dentist and end with his first colonoscopy. In between, Sedaris takes us on an international tour of his experiences, dipping back into the past to explore his early years—particularly his relationship with his father. At times funny, at times poignant, Sedaris’s autobiographical essays are always well crafted. Leo Rosten’s description of humor as the “affectionate communication of insight” aptly describes Sedaris’s reflections on his family. Not that there aren’t laugh-out-loud moments—his grandmother is “the human equivalent of a storm cloud,” and an American traveler’s first impression of Australia is “Canada in a thong”—but the humor in any essay is only one octave within a broader range. Sedaris came of age before “parenting” as it is practiced today: “Our artwork did not hang on the refrigerator or anywhere near it, because our parents recognized it for what it was: crap. They did not live in a child’s house, we lived in theirs.” In “Memory Laps,” he writes of his father’s tough parenting style: “but this all happened before the invention of self-esteem, which, frankly, I think is a little overrated.” His essay “Loggerheads” is perhaps the least humorous, juxtaposing his childhood interference with baby sea turtles crawling to the sea with other early experiences. Even with the moments of comic relief and Donny Osmond in “Memory Laps,” these two essays are more Jo Ann Beard than Tina Fey. 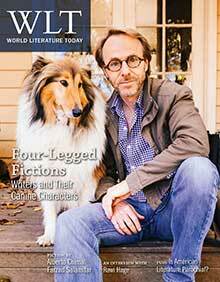 In addition to his essays, Sedaris drops in some satirical short stories, which he characterizes as forensics for teenagers to use in speech contests. The characters in these first-person stories generally lack the same thing: even a hint of self-awareness. These pieces are often the breathy monologues of inflatable, 180–proof social conservatives. Stylistically, the pieces recall Dorothy Parker’s first-person stories. And like her first-person stories, they’re clever. Still, they can’t compete with the multilayered stories of Sedaris’s own life and family—although Sedaris doesn’t seem to pull any punches, the characters in his essays are never mere punching bags. Yet there is one line of an essay that doesn’t ring true. 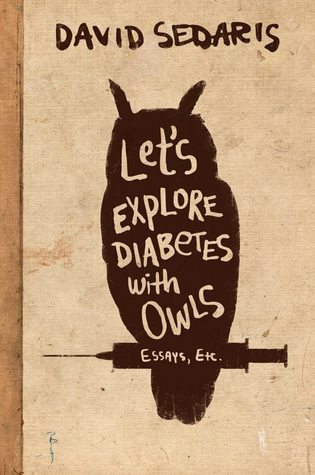 Late in Owls, Sedaris talks about writing—specifically, his daily diary: “It’s not lost on me that I’m so busy recording life, I don’t have time to really live it.” Whether we’re out to dinner with Sedaris in China, Valentine’s Day shopping for a stuffed owl, or just following him through Costco, Sedaris makes every encounter interesting. Though he probably has a few boring laundry days like the rest of us, after reading about his life, I can’t help but wonder: If this isn’t really living, what is?